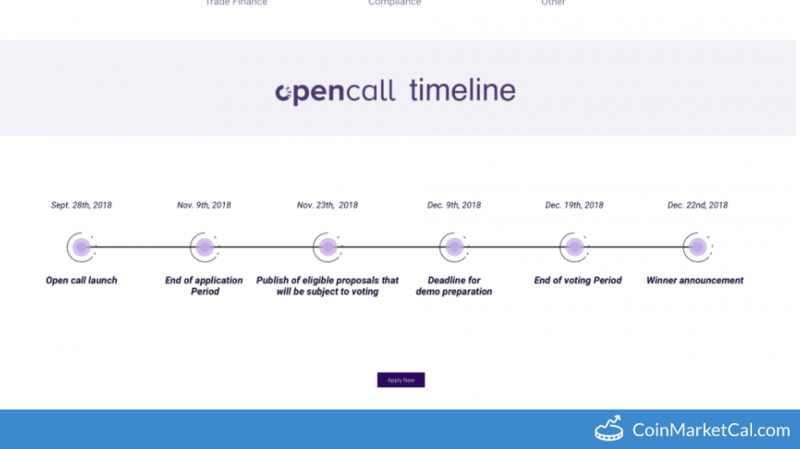 Deadline for applications to OriginTrail Open Call. 10 most promising supply chain projects will get up USD 135,000 awards in TRAC tokens. Application Deadline is a Community Event event of OriginTrail (TRAC) which was added in CryptoCrawl's database on Oct 1, 2018, According to our source Application Deadline will happen on 09 Nov 2018. For your reference, source and proof of Application Deadline has been attached below.